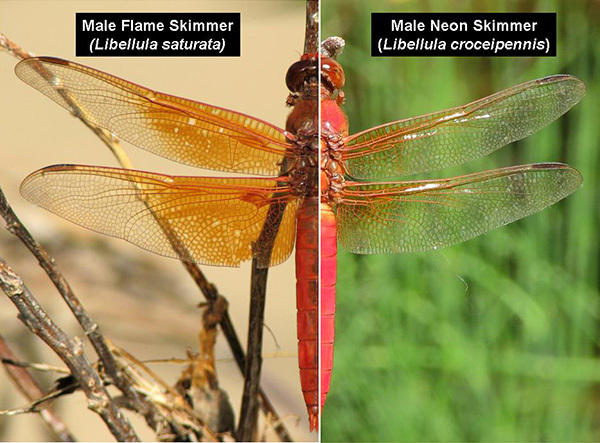 Two large orange/red skimmers that occur in Arizona and can be present at a same location are the Flame(Libellula saturata) and Neon (L. croceipennis) Skimmers. Males are relatively easy to separate but females are quite similar. Wings have a large amber patch that extends to the pterostigma. The hindwing has a darker orange/brown midbasal stripe. Abdomen and front of thorax are bright red. Wings have much less orange than in the Flame Skimmer. The hindwing lacks a darker orange/brown midbasal stripe. Pterostigma more elongated than in Flame Skimmer. Male Flame and Neon Skimmers, AZ. Wings usually with some orange (but can be clear). First longitudinal wing veins are partly yellow. Wing veins are orange and lack yellow. 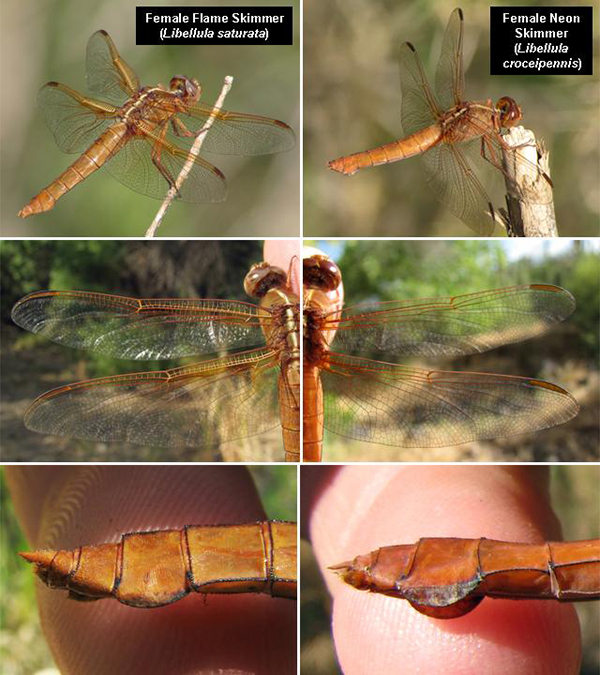 Pterostigma is more elongated than in Flame Skimmer.